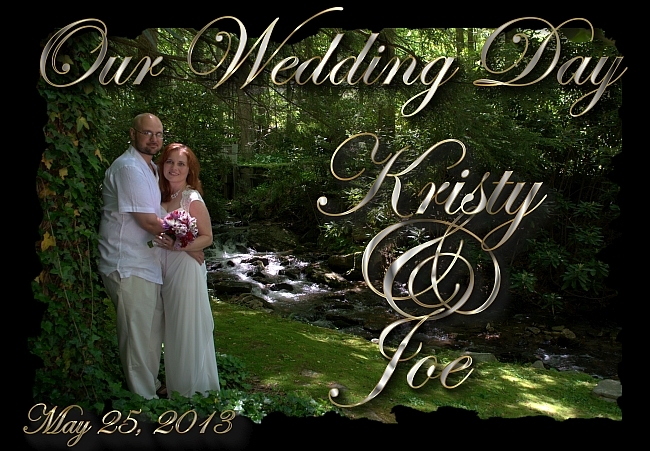 ...50 guests for our Wedding Day! Huffington Post says we are Terrific! You deserve a perfectly pretty place for your wedding day - not just a two hour block - and your guests will appreciate a leisurely day, as well. alongside a musical tumbling mountain stream. An Autumn Wedding - how beautiful! asked the poster to remove the copyrighted image, proved we were the owners, and some of them complied. Some did not. this picture was taken right here, at Timberwolf Creek, in the Brigadoon Cove Outdoor Wedding Chapel. And it's so incredibly beautiful here that folks all over the world are 'borrowing' our picture. We hope you'll share this website with your friends on facebook! The Bride and Groom asked, "Can our picture be on the wedding website?" I answered, "Are you kidding? How about right on the first page!" ...and aren't they fabulous? I love this picture! And yes, that is a kilt! Want to take a video tour? Click below! Want to see samples of our 'seasonal bouquets'? Click Here! Elopements have become remarkably desirable here at Timberwolf Creek. and won't perform more than one wedding ceremony on Your wedding day. but that is a rare occurrence and we're careful to see that you will not be rushed in any way. You are certainly welcome to make your B&B wedding reservation online! That instantly reserves the date just for you. If you prefer a cabin rental for your wedding getaway, make your reservation here. Coming from England, Ireland, anywhere in the UK (United Kingdom)? Coming from France, Germany, Italy, Spain, anywhere in Europe? Coming from Japan? Anywhere in Asia? Yes, you can get married in the USA. Eloping to the United States is simple, romantic, and beautiful. Bring your friends, your closest family, or just the two of you. 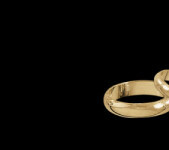 We can help you elope in America. 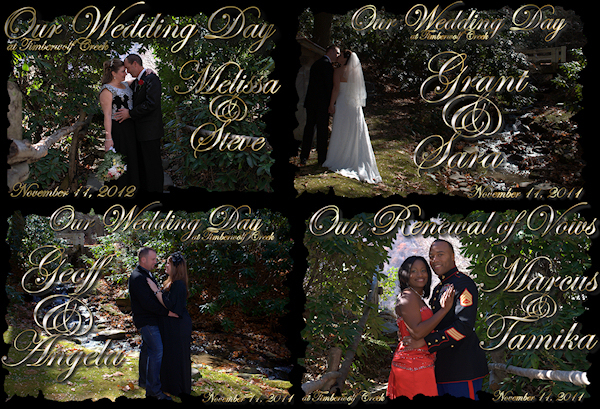 We have found that these three different packages are the most popular arrangements for wedding couples. and we'll create a package that's a perfect fit for *you*. Email fairygodmother@maggievalleyweddings.com or call or text (828) 246-2617. 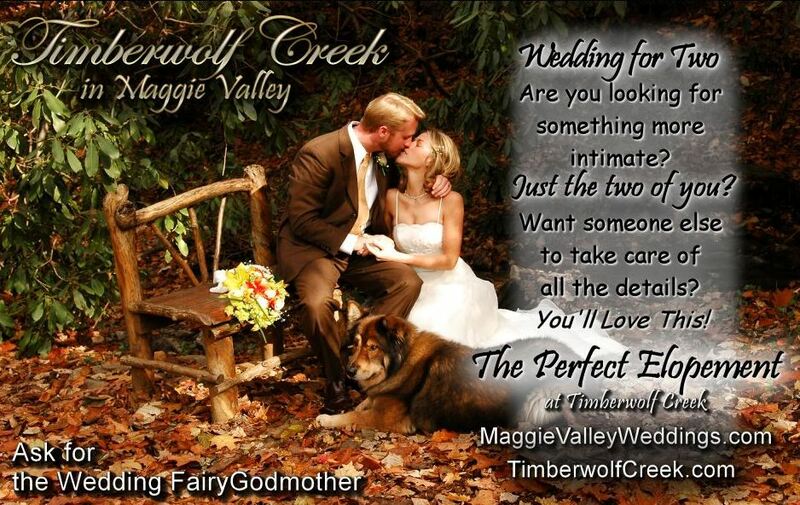 Did you have a Wonderful Wedding at Timberwolf Creek? Please say so at TripAdvisor - Thanks! And just for fun, stuff about us, the blog, pictures of the kids, you name it. Interesting links include our bed and breakfast, naturally!